In around 1876, Miss Louisa Oxley founded the Windsor Infant Nursery 'for the benefit of children having sisters at school, and whose mothers are ill or at work during the day.' 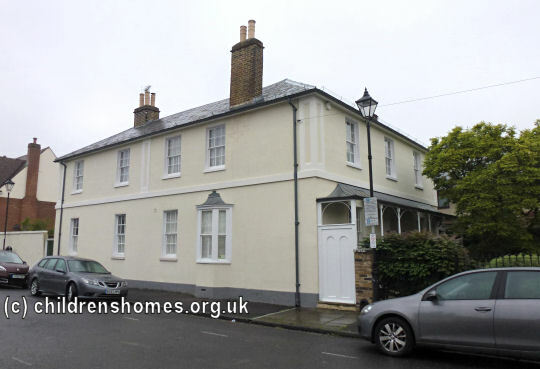 Its original premises were at 3 Keppel Terrace, Spital Road, Windsor, but subsequently moved to Grove Road, Windsor. In 1885, Princess Christian, Queen Victoria's third daughter, became Patroness of the nursery and was an active supporter of its fund-raising efforts. The establishment was subsequently renamed Princess Christian's Nursery in her honour. The nursery moved again to premises variously referred to as 22 or 24 King's Road, Windsor, then, after the First World War, to Clewer Hill House, Clewer Hill Road, Windsor. In around 1942, the nursery's financial difficulties led to its being taken over by the Waifs and Strays Society. Then adopting the name HRH Princess Christian's Training College and Infant Nursery, it could accommodate 32 babies who provided trainee nurses with valuable practical experience. The home closed in 1971. The Clewer Hill Road building no longer survives and the site is now covered by modern housing.